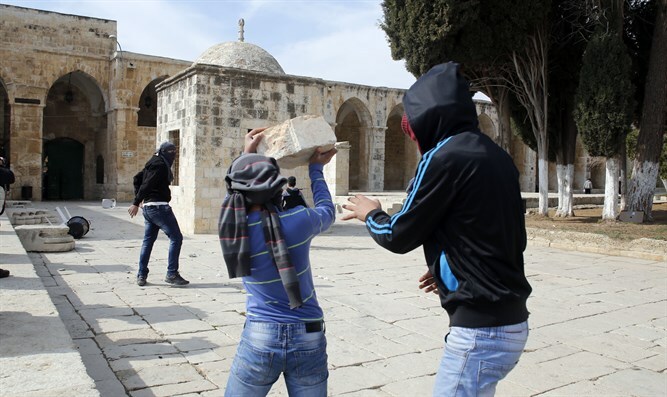 On the eve of April 2019 elections in Israel, the Waqf, the Islamic trust given charge of the Mount since 1967, is openly challenging Israel over the Temple Mount in a brazen attempt to provoke another round of violence. Shelley Neese is Vice President of the DC-based pro-Israel Christian publication called The Jerusalem Connection. (www.tjci.org). Over the last seven years, Jewish visits to the Temple Mount have increased from a paltry 2,000 visitors in 2004 to 30,000 in 2018. While that uptick pales in comparison to the numbers of Jews who pray at the Western Wall, it is a real and noticeable shift in what Israel calls the Status Quo. The Western Wall is for Jewish worship and the Temple Mount is for Muslim worship. Whatever the motivation for increased numbers of Jews visiting the Mount, be it curiosity or religious piety, the shifting demographics on the Temple Mount have created significant Palestinian agitation. As recent history has proven: episodic reigns of Palestinian terror are best incentivized by rumors of Jewish plots to destroy the Al-Aqsa Mosque. From September 2000 to November 2003, during the Second Intifada—also called the Al-Aqsa Intifada—the Temple Mount was closed to Jews. The official Palestinian line was that Ariel Sharon’s visit to the Mount provoked a spontaneous Palestinian uprising. That narrative worked, but only by ignoring Yasser Arafat’s ready-made army of suicide bombers. His cry for Al-Aqsa was a diversion to cover his own hand in signaling a violent escalation. When the Temple Mount reopened to non-Muslim visitors, public perception in Israel slowly shifted. A growing minority of religious Israelis expressed a desire to reconnect with this preeminent place in their religion. In cafés from Tel Aviv to Jerusalem, Jews revisited the debates of 1967 and discussed topics that once were taboo. Is the Temple Mount likely to be transferred to a new Palestinian state in final status negotiations? If the Temple Mount is the preeminent holy site for Jews, why are Israelis disenfranchised at the site? Since Israel captured the complex in 1967, shouldn’t the state exercise that sovereignty, rather than relinquish it? As more religious Jews began to ascend the Temple Mount during limited timeframes allotted to them, tensions over the sacred space increased, reaching a critical climax in 2014. The ripple effects of those waters have still not settled. During the Jewish High Holidays in 2014, Hamas and other terrorist groups prepared for the encroachment of Jewish visitors by improvising barricades and stocking up on small explosives. The Temple Mount became, figuratively and almost literally, a powder keg. The Israeli police altered their tactics for dealing with the Palestinian incitement. Anyone under the age of fifty was prohibited from ascending the esplanade. In order to allow limited Jewish entry on one of the holy days, the police used anti-riot equipment to detain Muslim extremists inside the Al-Aqsa Mosque. Israeli Public Security Minister Yitzhak Aharonovitch explained the unprecedented act to reporters: “If the Jews cannot go up to the Mount, the Muslims will not go up to the Mount.” In a fiery speech, President Abbas proclaimed that the Jews had no right to enter the Temple Mount and desecrate it. To protect the site from sacrilege, he ordered an onslaught of Palestinians to seize the site and repel the “herds of cattle” by all means. For the following month, a fit of terror overtook Jerusalem’s streets. Rogue Palestinian motorists used their accelerators as weapons, mowing down Israeli soldiers and pedestrians on sidewalks, including a three-month-old baby girl in her stroller. A rash of terrorists pulled knives on unarmed Jews at bus stops and city streets. On November 18, two Palestinians from East Jerusalem—armed with guns, axes, and meat cleavers—entered a Jerusalem synagogue and murdered four rabbis conducting their morning prayers. Photographs of bloodied tefillin penetrated the Jewish collective conscience. Ten days later, Sheik Omar Abu Sara, during a spontaneous sermon in the Al-Aqsa Mosque, called on Allah to hasten the slaughtering of Jews without mercy. Referring to Israelis as monkeys and pigs, he commanded his followers to halt the Jewish advance on Haram al-Sharif, the Arabic name for the Temple Mount. Although Netanyahu deployed emergency measures to quell the spasmodic violence taking over the capital, in a meeting with UN Secretary-General Ban Ki-moon, Netanyahu promised that Israel retained its long-term policies toward the Temple Mount. Netanyahu promised every world leader put in his path that the Status Quo held firm. On July 14, 2017, three armed Israeli-Arabs approached the Lions’ Gate and opened fire on Israeli police, killing two officers and injuring two others. When it became clear that these terrorists received help from the Waqf in hiding their submachine guns on the Temple Mount, Israel installed metal detectors and security cameras on the Temple Mount by the Muslim entrances. Previously, only non-Muslims were required to pass through metal detectors. The entire Muslim world convulsed over the new security measures and a week-long bloody standoff ensued. Israel’s security cabinet capitulated and the metal detectors were dismantled, so as to keep the Status Quo. Fast forward to the eve of April 2019 elections in Israel. The Waqf, the Islamic trust given charge of the Mount since 1967, is openly challenging Israel over the Temple Mount in a brazen attempt to provoke another round of violence. Last week, Islamic officials unilaterally declared the area by the Golden Gate a new outdoor mosque, the fifth mosque on the Temple Mount. When Israeli police didn’t take their shoes off in the impromptu mosque, images of a uniformed Israeli desecrating the faux mosque were shared on social media. The shrill outcry prompted a fire-bomb attack on the Israeli police station on the Temple Mount. Do these actions comply with the Status Quo? The Temple Mount will always be a terrorist’s tool for chaos. It will always be the Mentos that Palestinian leaders drop into the bottle of Diet Coke when no one is looking. My favorite science experiment as a child, since popularized on Youtube, involves a liter of Diet Coke and a roll of Mentos, flavored mints. Open the lid and drop in a tablet of Mentos. Seconds later a volcanic burst of carbonation will launch skyward. The experiment works without fail, as long as the Diet Coke bottle is freshly opened and Mentos are on hand. The Temple Mount will always be a terrorist’s tool for chaos. It will always be the Mentos that Palestinian leaders drop into the bottle of Diet Coke when no one is looking. Their chaotic version of the Status Quo involves organized harassment punctuated by calculated explosions. If Israelis leave the Temple Mount alone and accept the Status Quo, Muslims will say the Jews never had a claim to the Temple Mount in the first place. Recall Yasser Arafat’s claim that there was never a Jewish Temple on the Temple Mount. If more and more Israelis continue to visit the Temple Mount, they are accused of an incendiary plot to destroy Al-Aqsa. All they need is a Jewish woman holding a prayer book or a Jewish man wearing a kippa for the Waqf to claim the Jews are desecrating Haram al-Sharif. In a letter to Netanyahu in 2014, a former Member of the Knesset responded to what he understood as the Prime Minister’s flawed commitment to the Status Quo. He wrote, “Israel has been deceiving itself into thinking that it can manage the height of the flames on the Temple Mount without restoring its control there.” That message rings even louder five years later. The Status Quo is not sacred. The Temple Mount is sacred. It is not a roll of Mentos. Shelley Neese is author of The Copper Scroll Project and President of The Jerusalem Connection.